Adult day care is an option for reducing the stress of caregivers for individuals with memory loss and for reducing behaviors. A significant portion of individuals receiving caregiving support live at home with the support of spouses, daughters, and sons. Some families are able to afford private in-home caregivers. Family caregivers provide significant amounts of physical and hands-on care at the expense of their own time in careers, raising families, health, and well-being. When hands-on care is needed, stress levels rise. Behaviors may also increase if loved ones with memory loss are resistive to assistance with eating, toileting, and bathing. 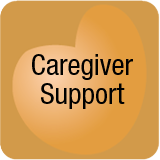 Family caregivers helping loved ones remain at home will sometimes retain community assistance that includes: in-home caregiving assistance or will participate in the use of adult day programs so that a break from caregiving can occur. There are days when caregiving becomes too much. Day programs can also be used as a bridge to delay moving a loved one to assisted living or memory care. By comparison, a day program may be less expensive than other care options. Daycare programs run all day long, many from 7 am to 5 pm, giving a caregiver an entire day alone to rest or participate in social activities. 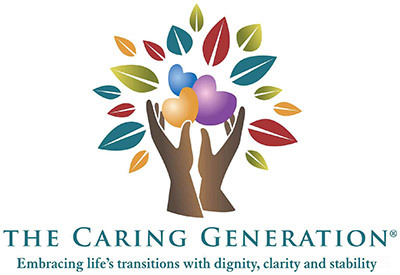 Costs of care for adult day centers average $70-80 per day as compared to in-home caregivers averaging $28 per hour, assisted living communities averaging $4-5,000 per month, memory care communities averaging $5-8,000 per month and nursing homes averaging $300 or more per day. Individuals with dementia, are observant of body language, the tone of voice, levels of respiration, adrenalin levels, and everything in their surroundings that might be perceived as negative or threatening. Persons with memory loss respond to the actions of persons providing care that include family, friends, and paid caregivers. They respond negatively to persons who respond negatively or who are perceived to be threatening versus comforting. Adult day programs offer emotional and financial benefits for informal caregivers and loved ones needing care. Learn more about the benefits to preserve your well-being and emotional life. Adult day programs serve as a financially viable option to reduce stress for caregivers, to decrease behavioral episodes, and to improve sleep. Many caregivers are unaware that adult day programs exist. Research of caregivers with a loved one diagnosed with dementia indicates that only about 10% had ever used adult day programs or similar community services. (1) Levels of depression and caregiver stress are significant and often result in the caregiver becoming more physically ill than the person who receives care. Attendance at an adult day program for two or more days a week provides an emotional period of respite for the caregiver. This expected break allows the full-time caregiver to attend to their own needs, engage in activities with others, or simply rest. The mental knowing that for example, on Tuesday and Friday, I can do whatever I want offers a sense of freedom for a caregiver who may feel tied to their loved one twenty-four hours a day and seven days a week. For part-time caregivers who may visit a loved one daily or sleep over at night, daycare may offer a less expensive option to hourly caregivers. One of the positive factors of attending a day program for a care recipient is a decrease in physical or verbal behavioral problems due to a reduction in boredom or isolation. Care recipients who are awake during the day, rather than being at home and napping all day, are likely to sleep better at night. Social interaction is proven to offer health benefits. Physical activity at day programs improves physical strength and appetite. It is important for caregivers to consider as many options as possible when caregiving becomes too much. Attendance at a day program, even if only one day a week may be exactly what is needed to reduce caregiving stress. 1 Logsdon, R. et al. Memory Care and Wellness Services: Efficacy of Specialized Dementia Care in Adult Day Services. The Gerontologist, 2016, Vol. 56, No. 2, 318-325. Doi: 10:1093/geront/gnu012. ©2018 Pamela D. Wilson. All Rights Reserved.